Seatech Aquariums puts customer service first with our professional aquarium maintenance programs. We know every aquarium is unique to its environment and habitants, therefore you will receive a fully customized maintenance proposal after meeting and holding a visual inspection of your aquarium. 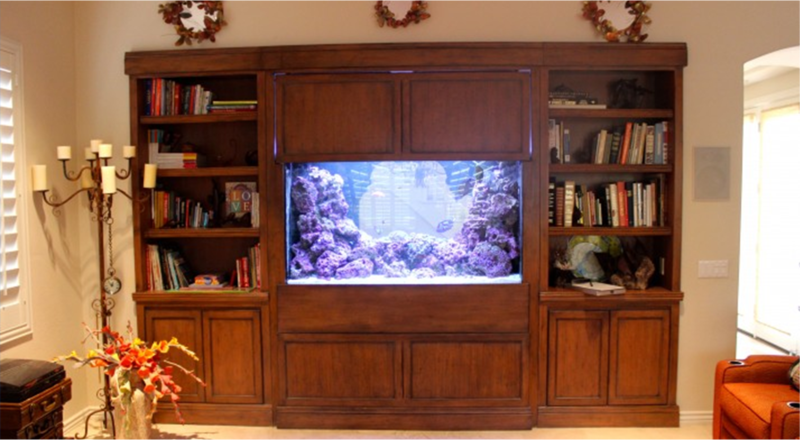 Our team has years of successful experience in aquarium maintenance, even managing the most exotic setups, and will put this knowledge into practice on your tank. Our approach is straight forward and you will always be in the know with the health of your aquarium. Our clients who choose our professional maintenance programs, enjoy the benefit of knowing their investment is in the best possible hands of care. We setup scheduled visits (commonly 2 per month), provide food (both frozen and flakes), we clean and replace decor, gravel and filters, provide RODI water for all water changes, and use a white glove approach to ensure your home or office is spotless after our visit, just like your aquarium will be. Our clients can not speak any higher of us and we would like to think its for the reason of never having to visit an aquarium store again or that their investment is in the best hands valley wide. While our maintenance programs are a treat to our clients, outside of our flat monthly fee, our clients will be responsible for the cost of items such as filters, pumps, heaters, lighting, repairs, enhancements, and other items as specific to your environment.